So far 6,000 have fled the fighting but WHO has contingency plans in case “thousands if not hundreds of thousands” are displaced. 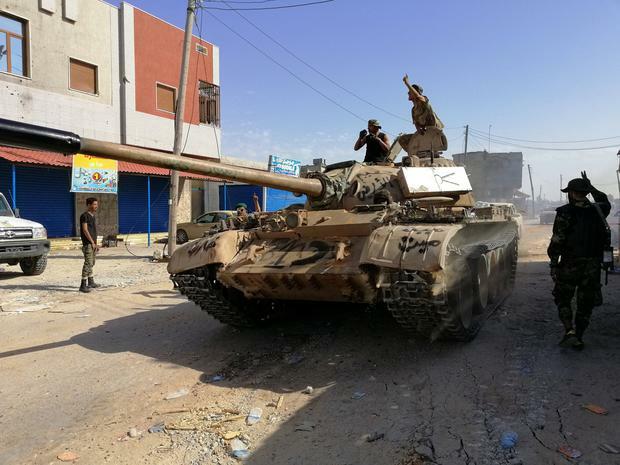 Yesterday, gunfire and blasts echoed through Libya’s capital as eastern forces fought troops of the internationally recognised government in southern Tripoli suburbs, forcing thousands of civilians to flee. “We have got used to wars. I fear only in God,” said Yamim Ahmed (20), who works in a fast food restaurant. Mr Haftar (75), a former general in Gaddafi’s army who later joined the revolt against him, moved his troops out of their eastern stronghold to take the oil-rich, desert south earlier this year, before sweeping up to Tripoli this month. Mr Serraj’s government has managed to halt the advance, helped by armed groups with machine-guns on pick-ups and steel containers across the road into Tripoli. “We are keeping a very strong eye on outbreaks because of displacement into places, and the water sanitation system is compromised. So there is a huge likelihood of outbreaks,” said Dr Hussain. “Refugees and migrants trapped in detention centres in Libya are completely dependent on authorities and the humanitarian actors for basic services,” tweeted aid agency Medecins Sans Frontieres.